Product prices and availability are accurate as of 2019-03-22 21:24:13 EDT and are subject to change. Any price and availability information displayed on http://www.amazon.com/ at the time of purchase will apply to the purchase of this product. 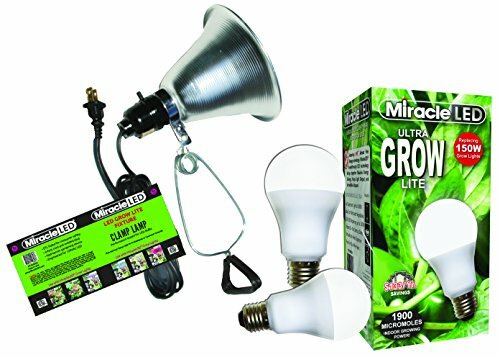 This 2- pack of grows for pennies 9.5W absolute Daylight Ultra grow light bulb, with a bonus free clamp light fixture, runs on 120Vac power. This bulb consists of white light leds that emulate absolute Daylight. 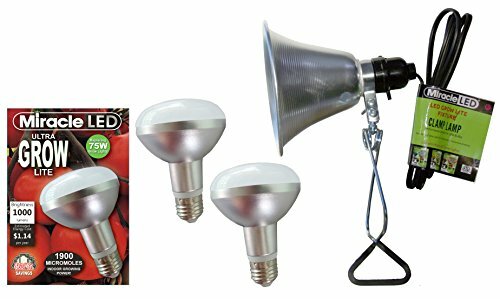 These hydroponic LED growing lights can rapidly improve the health of plant and growing, generally more leaves popping up within 2 weeks of using this growing lamp on a daily basis. 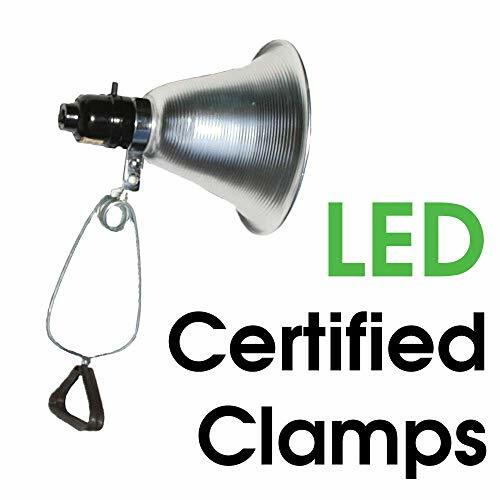 A free bonus clamp light fixture is included; however, easy to set up and use - no special lamp needed, a standard desk lamp will do. Based on nasa color spectrum technology, miracle LED lights produce the highest lumen output at the lowest wattage. All the energy savings of any Green lighting alternative avoiding all the things you don't like in others. 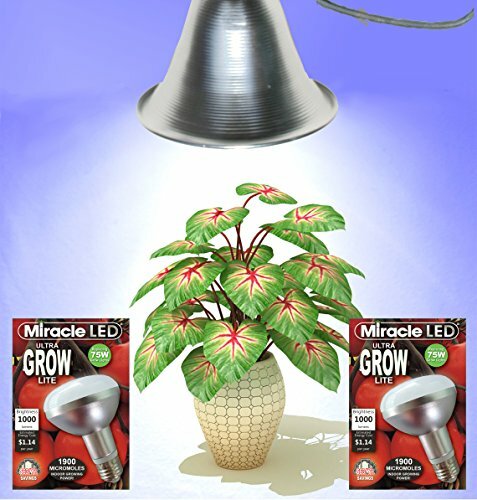 This light is designed specifically to emulate the light temperature of Daylight to give your plants the natural light plants crave through their Green growing cycle. 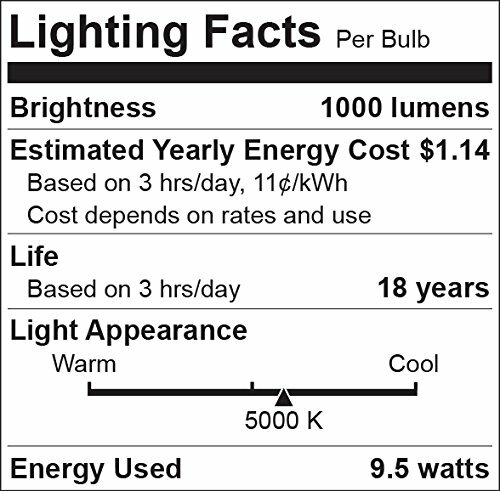 This bulb is instant on, no heat and containing none of the heavy-metal mercury. One LED light bulb can outlast 30 incandescent bulbs. 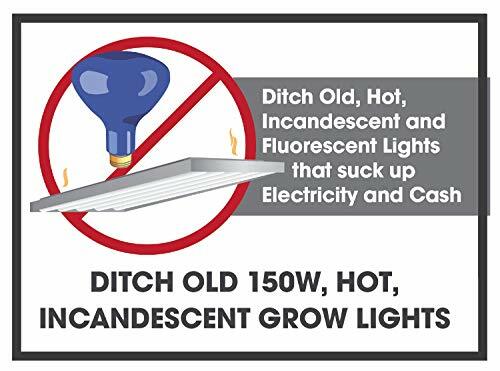 Led lights operate at lower temperatures than other lights carrying virtually no heat signature. The latest in LED system Electronics, thermal management, as well as mechanical and optical design make the advantages of LED lighting a practical reality with miracle LED. Save up to $55 per year for one bulb when replacing an incandescent bulb running continuously at the USA average of 0.11 per kilowatt hour. Don't wait another minute to join the money-saving revolution that is miracle LED. In this multipack your savings multiply. 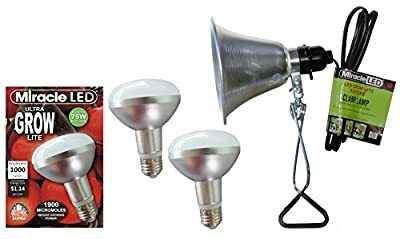 Grows for pennies absolute Daylight Ultra grow bulb technical specifications: 9.5 watts, 1000 lumens, 120Vac, E26/E27, 5000K, 20, 000 hours estimated lifespan. Bonus free clamp light fixture. Images shown are for packaging and display purposes only. They are representative of the species or genus of plants that may be grown with artificial LED Light. Results vary by many factors and artificial lights do not fully replace light from the sun.